With a young child in the home, our days are often filled with all kinds of exploration activities. We absolutely love books that help us dive deeper into what we're studying. Take dinosaurs, for example, what an interesting set of creatures to study and a subject that my son enjoys learning about. Most, if not all, animals are intriguing, but those that are no longer living with us, today, often pique a certain extra bit of curiosity, especially since they are so mysterious. 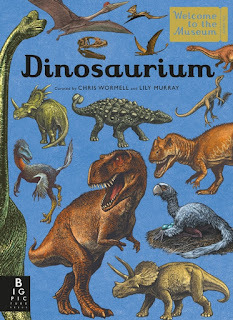 Recently, we've been reading a fantastic book by Lily Murray called Dinosaurium. Lily Murray is a writer who lives in a cottage in some beautiful woods. She has worked as an editor and writer for more than fifteen years. She enjoys walking, bird-watching, trips to the natural history museum (with or without her children), and reading about new dinosaur discoveries. She is also a (very amateur) fossil hunter. This book is pretty impressive! It far surpasses your typical introduction to the tyrannosaurus rex or triceratops. While it does include these, children will learn about so many more species. We've read a few books on dinosaurs, but this one comes with a plethora of additional features that puts this on a whole different level. We've been learning about amazing prehistoric creatures from the land, sea, and air–the amount of information provided is pretty extraordinary. One of my favorite features of Dinosaurium is that it's wonderfully organized, so not only can my son learn about any one specific creature, but also about the period of time they had lived in. You see, this is part of the Welcome to the Museum series and the book is set up in a way as if the reader is visiting an actual museum exhibit. It comes complete with a formal introduction, as well as a classification cladogram. Each chapter is considered a "Gallery" where my child can visit to explore different classifications of dinosaurs, as well as other prehistoric creatures that once lived. The illustrations are fantastic! They're extremely detailed and help depict what each creature may have looked like during its day. The book, itself, is rather large in size (roughly about 15 x 11 inches). As we flip through the pages, we are taken in by what we're learning. 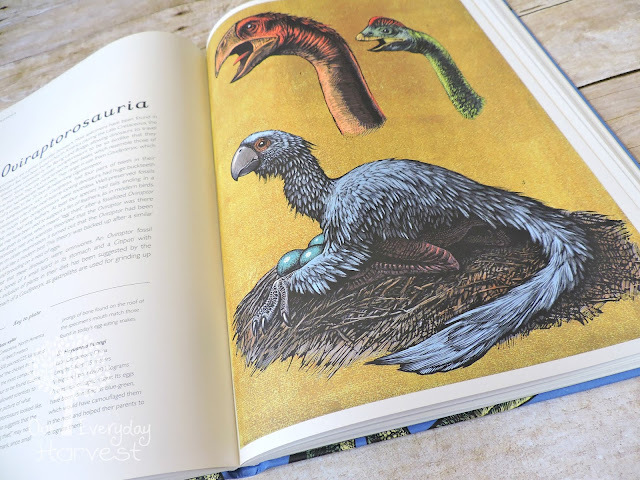 The illustrated dioramas are really neat, because they display a bird's eye view of what it could have looked like in the Triassic, Jurassic, and Cretaceous Periods, complete with plant life and other details. There are also provided key to plate notations, not just for the dioramas, but for other diagrams throughout the book. These are handy at providing extra details and other fun facts. The back of the book offers a thorough index for easy searching of a specific species or topic. There's also a listing of organizations, along with web links for expanded research on the topic of dinosaurs and other prehistoric animals. Dinosaurium is our very first book in the Welcome to the Museum series, but after reading through this one, I would definitely consider purchasing others from the collection. 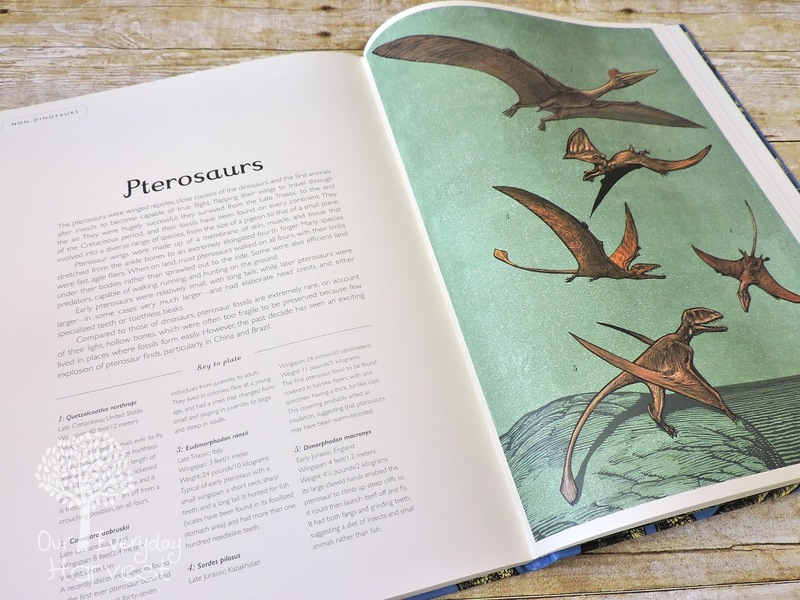 This is more than just a simple picture book, but instead an encyclopedia of dinosaurs. 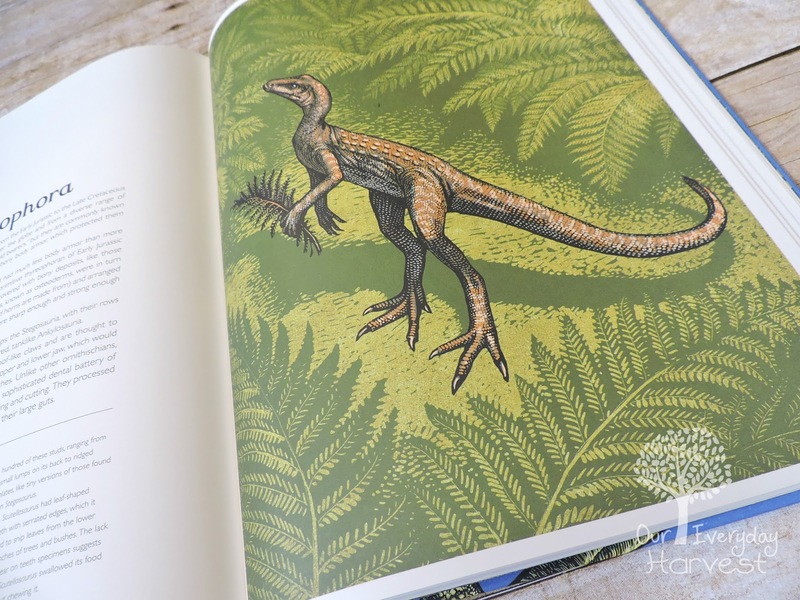 It includes plenty of detailed information on the study of paleontology and the magnificent creatures who once walked the Earth. 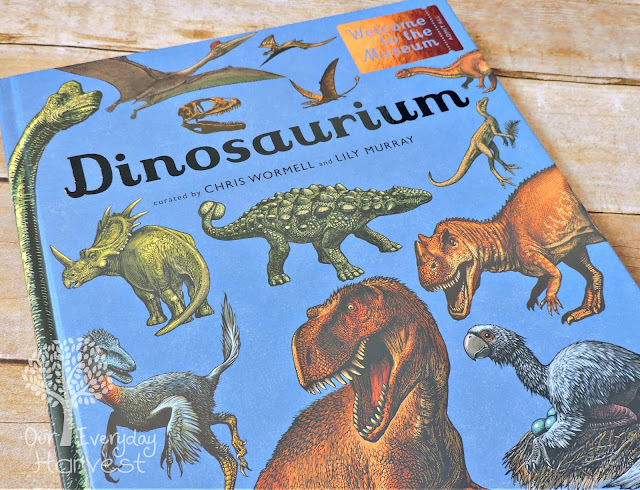 If you have little dinosaur fans in your life, then this is one amazing learning resource that you will definitely want to consider picking up for them!